As a gentleman with one foot firmly in the old-timey and the other firmly in tech-nerdery, being without internet for a few weeks was an almost unbearable trial which I was only able to weather on account of knitting, crochet and books not requiring a fat broadband connection (Ravelry not withstanding…). "It's funny how dogs and cats know the insides of folks better than other folks do, isn't it?" 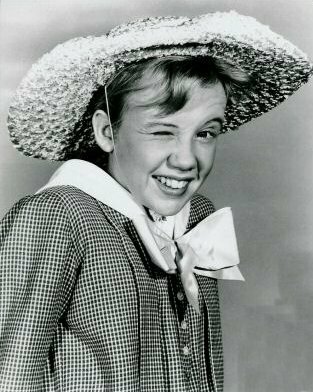 However, as I’ve been on my Pollyanna kick of finding something to be glad for in everything (if you’ve not read the book, I highly recommend it, as well as the Disney movie staring the incomparable Hayley Mills, but be prepared to get teary) I want to focus on the good stuff that arose from my disconnected purgatory. I missed my blogs! And I’m all the more grateful to be able to read them again without being hindered by trying to read on a cell phone screen or through a painfully slow cell phone hotspot connection. Oy! And so, to show my appreciation for some of the blogs that I pined for (not in a creepy way of course… well, not tooooo creepy), I wanted to feature some of them. Now, there are a good many blogs that I love, but these are among the ones that are at the top of my to-read list. Also, just because the internet is like a bridge that trolls live under… I have asked permission from all of these lovely people to pick pictures from their blogs to make a collage for each of them, and they all graciously allowed me to do so. NONE of the images in this post are mine and belong to their respective owners. But anyway, get on with it, Raynie! I first became aware of Robbie’s Knitxcore blog when we were both featured by Pip-tastic at Meet Me At Mike’s, and then he featured me! Now, Robbie could pretty much cut and paste the phone book and I’d still love his blog because his aesthetic and presentation are absolute perfection. 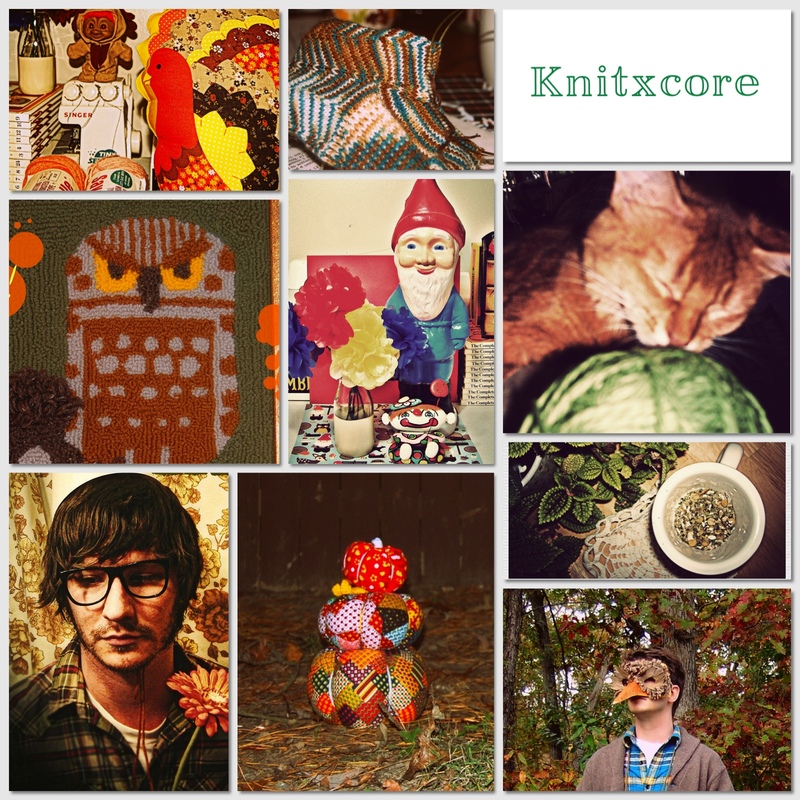 Craft, music, tutorials, photographs… Knitxcore has it all. I love love love his Vinyl Mondays and his seasonal decorating. He makes me so sad and totes jel that I’m not in America for Halloween and Thanksgiving! And, if you’re like me and you firmly believe that brik-a-brak can and should turn up in even the most unexpected places (like on dinner plates amongst the peas), then you’ll hit the jackpot here. I’m pretty sure I started following Tony’s Bonito Club because we befriended each other on Ravelry (I could be completely wrong, I have the worst memory ever!). At any rate, we’re both Melburnians and he’s the only of these bloggers I’ve met in real life. 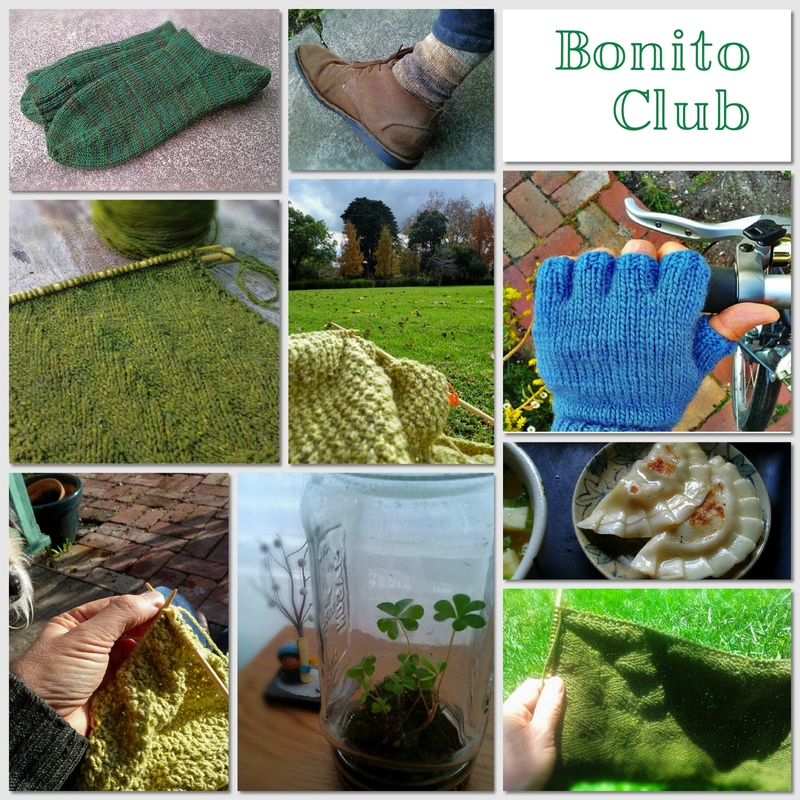 Bonito Club is one of my prime sources for yarn pr0n, because he’s always posting some delicious new yarn – like Brooklyn Tweed Shelter – that he’s procured somewhere along his travels. It helps that we seem to have crazy-similar color tastes. The green Shelter he’s knitting now? Oooh, he’s so lucky I don’t know where he lives so I can’t steal it! We’re also fellow Japanophiles (that’s totes a word now…) and when he posts screen caps of amazing knitwear from old Japanese movies it makes me endlessly happy. Since my move, we’re now in the same-ish neck of the woods, so we’re planning some adventures, which is excitement plus! 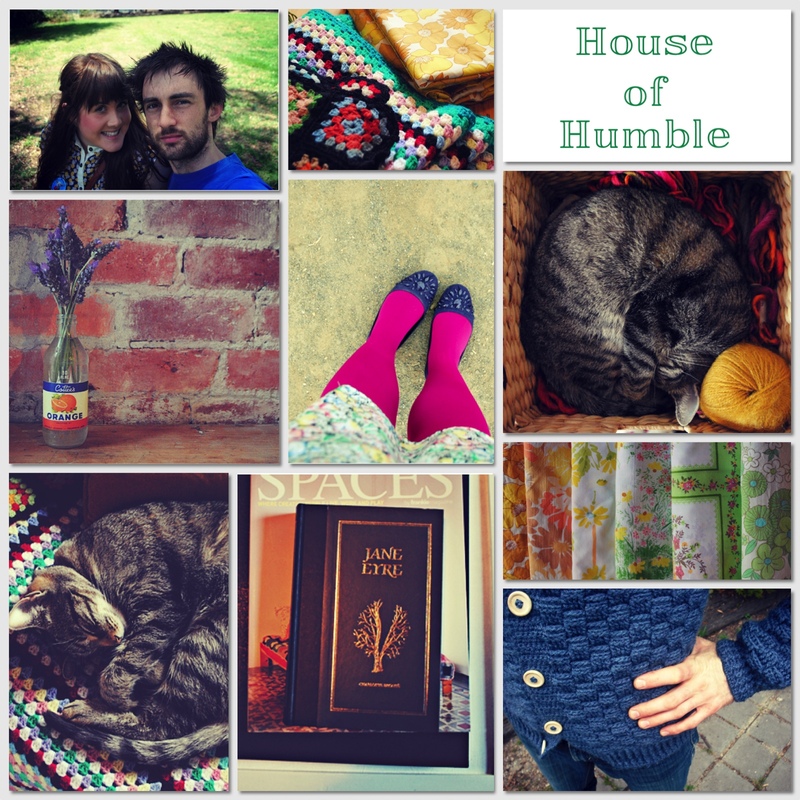 All of these blogs make me happy and inspire me to keep improving Shy Lion as much as I can (Robbie makes me itch for a total layout redesign, Katie and Reuben makes me want to go on adventures and make my house all homey and Tony makes me want to knit through every waking moment!). I feel in a way like they’re my crafty blog neighbors and that in some small way I’m a part of a cool little crafty-bloggy community and I love that. Are you puking yet? I know, it sounds twee, but it’s true, and I just wanted to share the love. ❤ And I have more blogs to share too, so keep your peepers peeped! What blogs to you love? Share, share, share! Thanks for sharing these great Blogs and welcome back to the Internet , I need to exile myself from the Net soon for a Week to prepare for Christmas but thats after I have done my Shopping online, and as for Blogs there are so many lovely ones on my Google Reader but I’d need a few Hours to share them all. I know! It was easy to pick this three, but it was also hard to not write about every single blog that I read! You’re a better person than I, for I could never self-impose Internet exile on myself. Oy! I don’t think anyone would want me to either because I’d go completely cray-cray! i love knitxcore and house of humble too! i don’t know bonito club, so i’ll go check it out! I just had a bo-peep at your blog and added it to my blog reader about 2.5 seconds later. My eyeballs said “Yes! I must see more of this!”. I’ll admit the grown bearded man in a lion suit had a lot to do with it. Man after my own heart! And your craftings. Looking forward to reading more. Thanks for saying hi! Yes we did meet on Ravelry, and I am very glad we did 🙂 And I’m very honoured to be one of of your crafty-bloggy community friends, very chuffed actually. Glad to be back! *phew*! And happy Thanksgiving to you! If you like ’em, I’m gonna love ’em. Thanks for sharing!